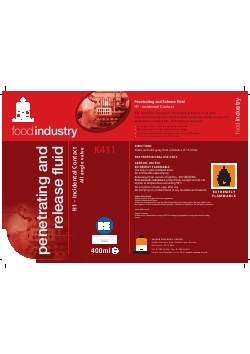 A NSF approved Food grade Penetrating & Release Fluid with anti-corrosion properties which actively penetrates seized components and leaves a residual film, facilitating re-assembly. Penetrates seized components and leaves a residual film, facilitating re-assembly. Shake well, hold can upright and spray from a distance of 15-20cm.